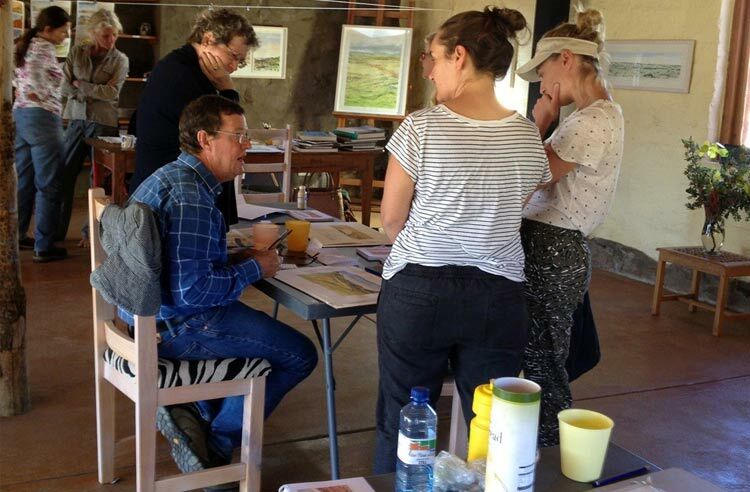 Bruce Backhouse, just completed an extraordinary water colour workshop at Bergplaas Nature Reserve. 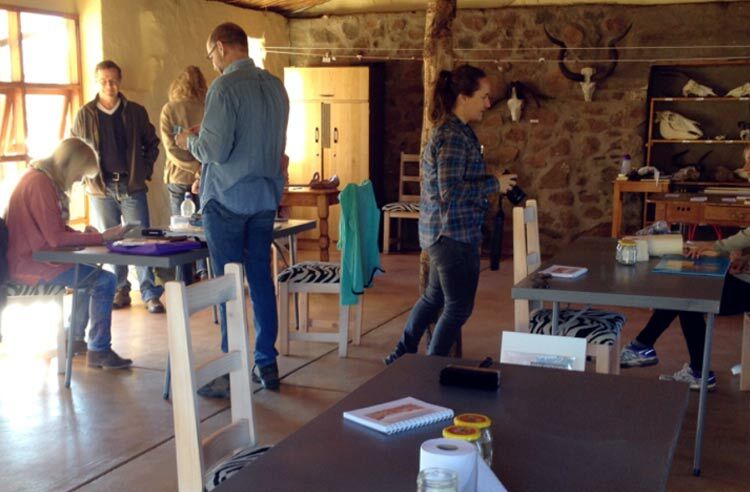 Participants experienced the art of 'seeing' and discovering their own unique 'handwriting' which resulted in amazing creations of the unique Sneeuberg mountains. We are look forward to 2018, for the next Bruce Backhouse Workshop. 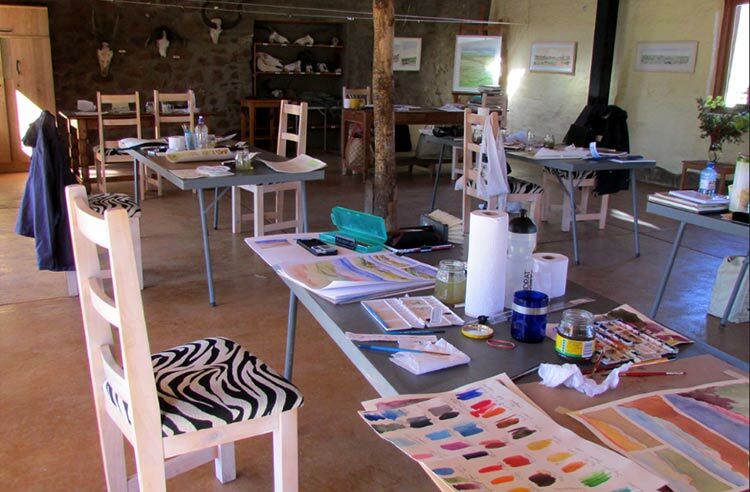 The water colour painting course taken by Bruce Backhouse was definitely more of a creative retreat for me! 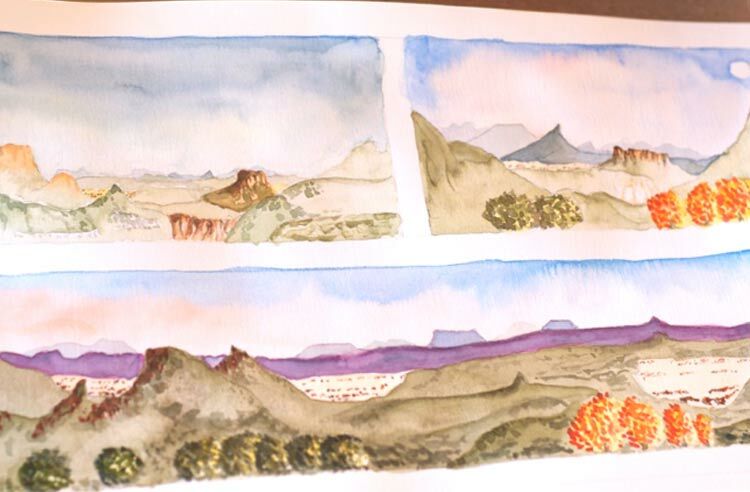 An escape from the city to just push the reset button and enjoy peace, quiet, astounding natural beauty, fantastic company, an abundance of delicious food, no cell phone reception and the pure joy of having a pencil and paintbrush in my hand! Bergplaas offers an environment of simple pleasures where one is encouraged to settle into a new rhythm of calm. It almost has the feel of a family-run Italian restaurant where there is a genuine and thoughtful approach to how it is run. Thank you Cindy, Wayne and Layonne for a wonderful stay! Bruce's painting sessions were thoroughly enjoyable throughout. It never once felt like we were "at school" and instead of him teaching us to paint he rather subtly encouraged us to look at our own work through less critical eyes, enabling us to develop and appreciate our own "handwriting" as he called it. It was such a pleasure watching him paint and admiring his patience with the process, allowing his work to develop on the paper as he had interpreted from the scene. And we walked on air.